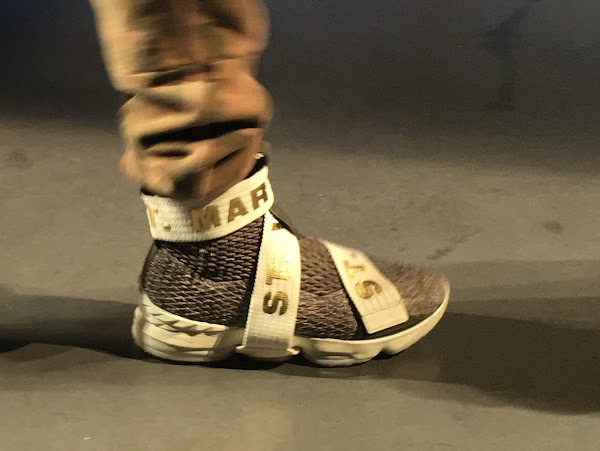 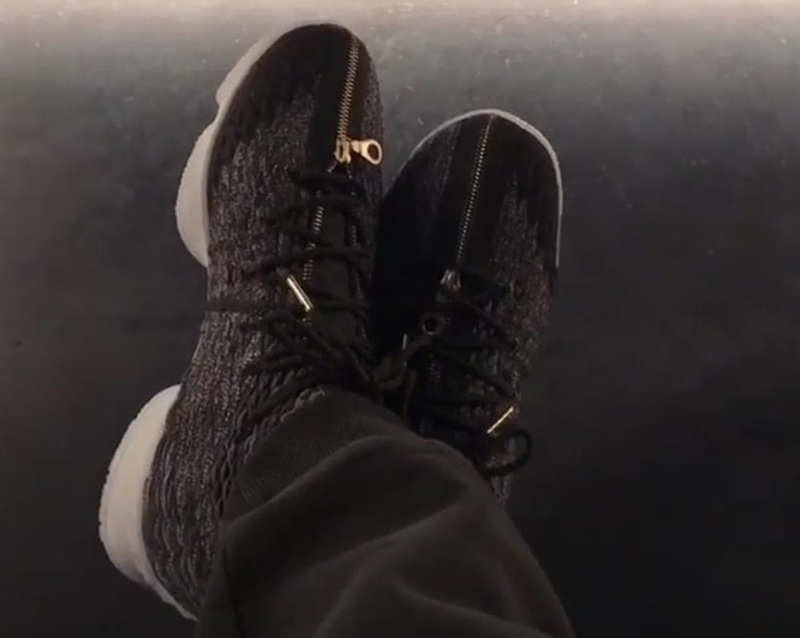 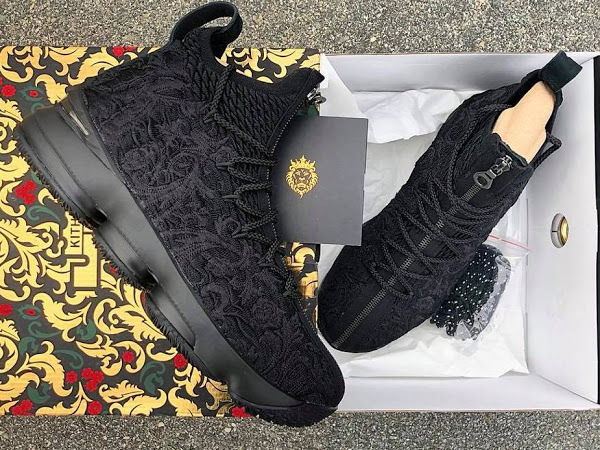 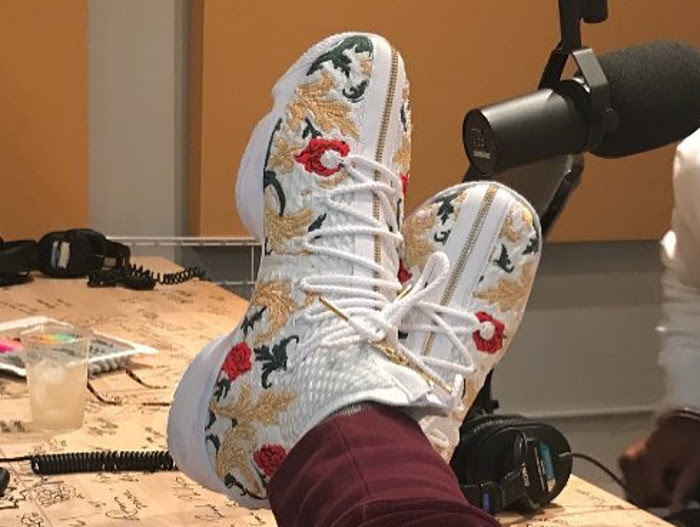 Last night, Team LeBron took it to social media showcasing LeBron James’ fifteenth signature shoe following the early leak of the Nike LeBron 15 a couple of days ago. 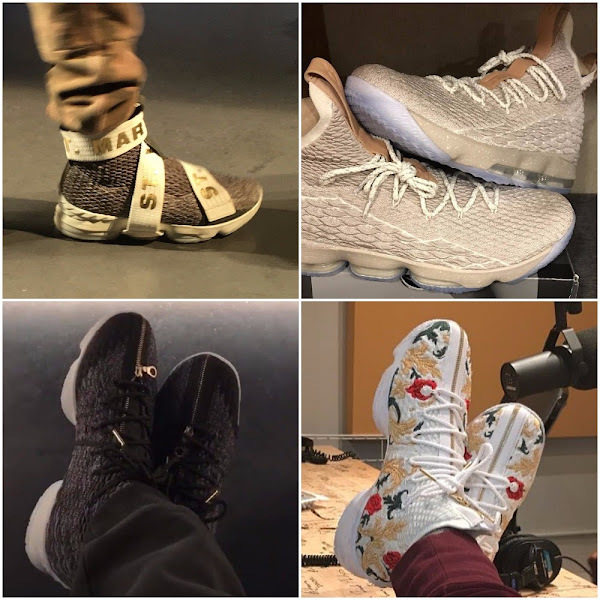 Turns out the LeBron XV will take many forms. 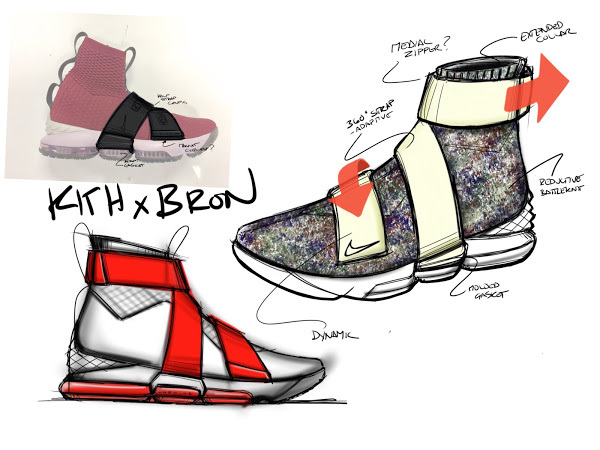 This includes a strapped LeBron Soldier crossover as well as fully length zipped enclosure and of course the regular version. 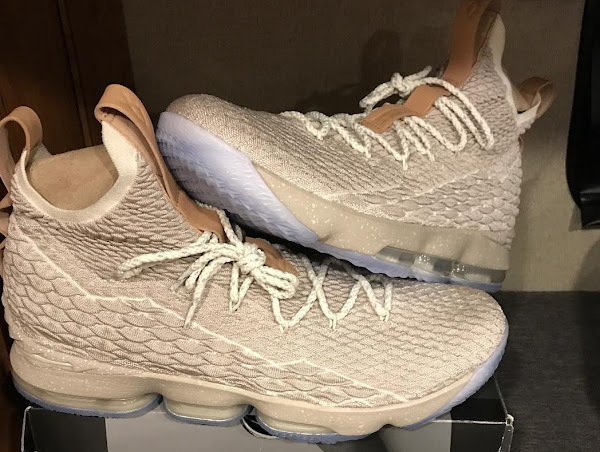 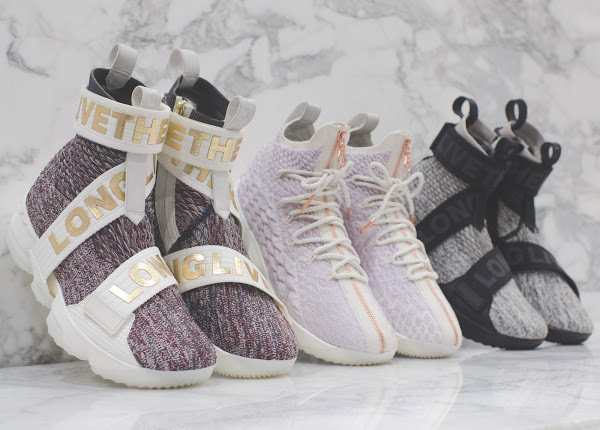 Seems that Nike Basketball is not ready to acknowledge that people no longer wear basketball kicks for fashion, yay, with the assault they’re preparing alongside the LeBron 15. 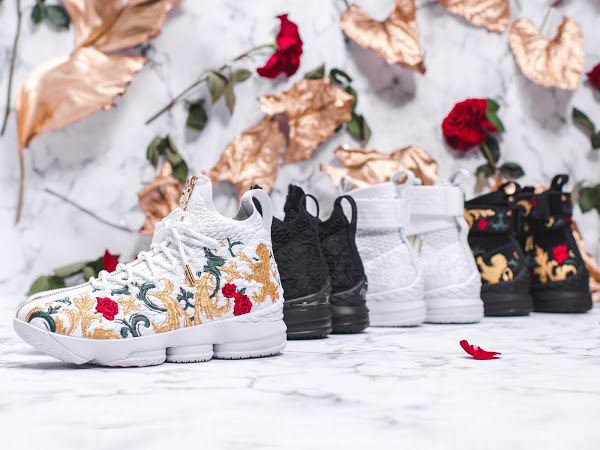 Both Maverick Carter and LeBron James Pairs attended Kith’s Sport fashion show wearing yet another casual-friendly “Floral” make-up. 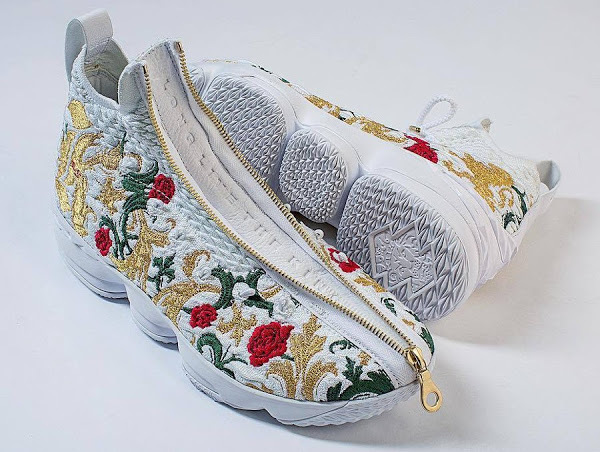 The on-court performance version was also previewed by King James himself. 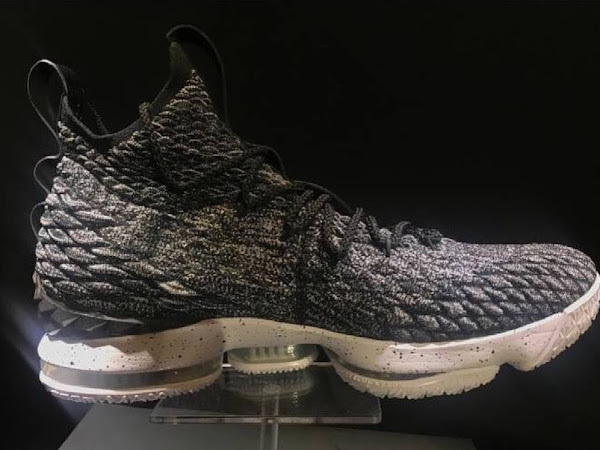 The newly discovered “Ghost” colorway sports a light grey BattleKnit upper combined with leather pull-tabs. A translucent outsole completes the look below, but I really belive solid outsole will do better here.